Facebook's 2015 Innovator of the Year adds Pinterest integration for e-commerce marketing. 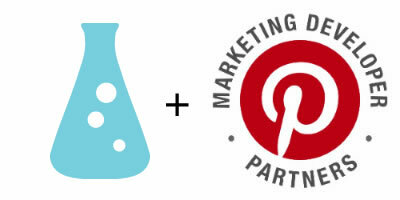 adMixt, a leading e-commerce media buying platform, announced today it has joined Pinterest’s exclusive Marketing Developer Partner (MDP) program. adMixt’s expertise in e-commerce and direct response services are a natural fit for the visual bookmarking tool’s robust suite of marketing technology. “From day one, adMixt has focused on driving profitable growth for our clients on native marketing platforms. Pinterest’s unique position with high-intent consumers makes it an ideal place to extend our clients’ reach,” said adMixt CEO and Founder, Zach Greenberger. Winner of Facebook’s Innovator of the Year award for their self-service platform Flightplan, adMixt is committed to leveraging the most compelling solutions available for its clients. Their dedicated focus on direct response has brought success to popular online brands like Brooks Brothers, Blue Nile and The Honest Company.